Warlords is a game where your job is to lead an army of humans in their fights. 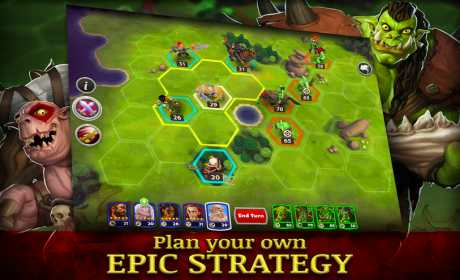 The ultimate turn-based mobile strategy game. Meet your enemies on the hex battlefield, and put your tactics to the test. 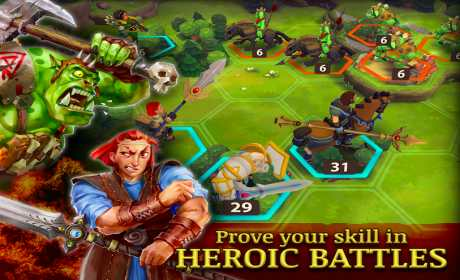 Outwit your opponents, build your army and begin the fight to reclaim your homeland. But remember, you need an Internet connection to play Warlords and smite those foul orcs! Take your regiments from just a handful of militia to a steeled fighting force and bring the battle to the invading orcs. 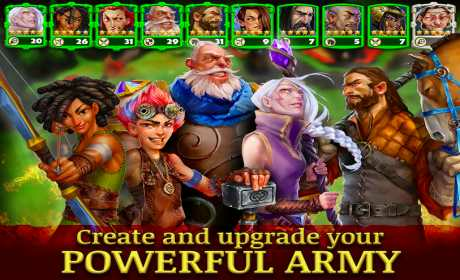 You choose exactly how your army grows, as you unlock a huge array of upgrades, weapons, armor and abilities. Fight bravely, and don’t forget – your choices will decide the fate of the last remaining free races in Dunmar. Defend the besieged harbor town of Dewport from the savage orcs, and take back your homeland piece by piece. Travel the land, recruit powerful leaders, and fill the ranks with powerful allies. THERE WILL BE BLOOD – Can you halt the tide of the vicious orcs and bring peace back to Dunmar? Warlords is free to download and play, but it also allows you to purchase virtual items with real money inside the game. You can disable in-app purchases in your device’s settings. Warlords requires internet access to play and access its social features. Warlords may also contain advertising. Epic strategy of heroic proportions. Drive back the orcs and reclaim your homeland. Are you ready to join the fight?